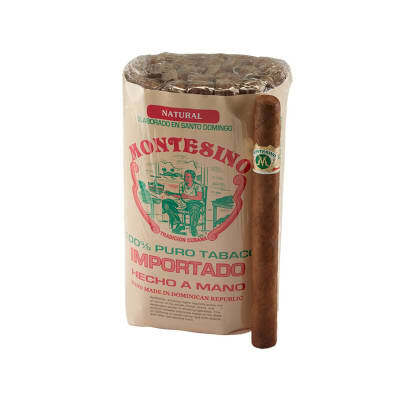 Montesino Napoleon Grande cigars are handmade by Tabacalera A. Fuente with a long & short filler blend of premium Dominican tobaccos encased in aromatic Connecticut wrappers. 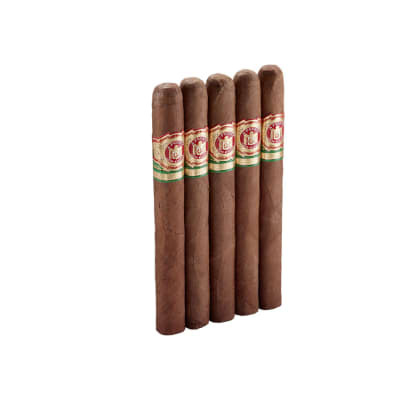 This budget-minded, medium-bodied cigar burns well and offers a smooth, nutty taste. A smart everyday cigar selection. This cigar is more of a Churchill than a Lonsdale. Wrapper is somewhat darker than most Naturals, almost a SG. Burn is even. Draw is light and full. 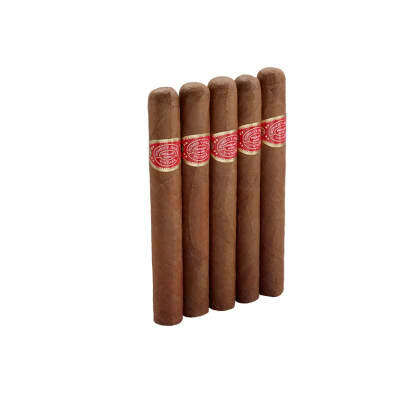 Cigar is firm without being dense. Flavor is "earthy" with notes of leather. Slightly stronger than I had expected for the size. Well-made and consistent through the bundle. You can taste A. Fuente standing behind it. Ash is medium grey, light and flaky. 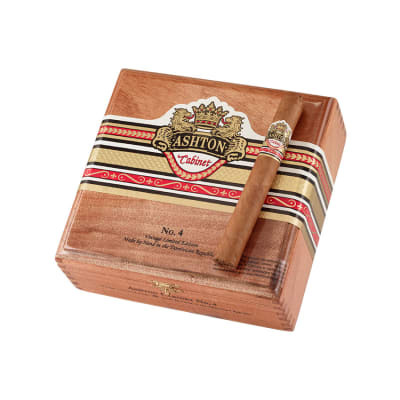 An excellent golf cigar or for outdoors since the ash makes it a little messy. Others would probably sell for much more. This is a great bundle cigar! An even burn and draw. Consistent throughout the bundle. First let me say, Im fairly new as a cigar smoker (less than 1 year), now I picked up a bundle of these and found them a little inconsistent. I equate these with my ROLY #2, which did not live up to my expectations per reviews. First, love them, they are not very attractive to look at, the picture is to good for them, the burn is a little uneven at times. I've found that they do mellow out some after I put them in the humidor for 3 weeks. So as an amateur I would say, they are cheap and could be an ok smoke if your not looking for excellences. Would I purchase these again, (YES), if I plan to put them way for 3-6 weeks before smoking them. If your not will to do that don't waste your time. They seem to be to unpredictable for the short hall. For the long haul a cheap investment but nothing special! By the way, they will not impress your friends, so don't go there!